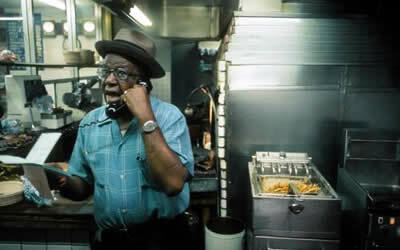 Where is the home of the best barbeque in Kansas City? 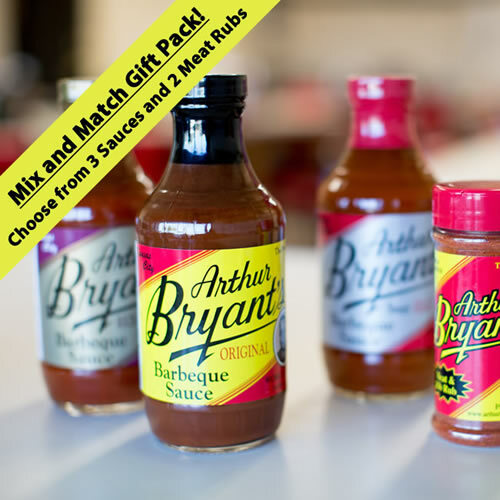 Welcome to Arthur Bryant's Barbeque featuring succulent meat that's slow-smoked with a combination of hickory and oak woods, mellowed to the peak of flavor, then splashed with Arthur Bryant's Original or Rich & Spicy Sauce – our secret recipe. 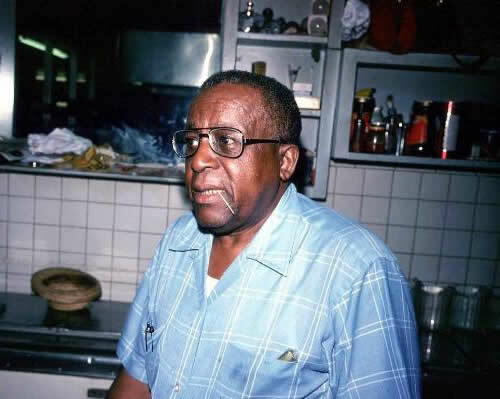 Created by the legendary King of Ribs, Arthur Bryant, our restaurants today continue to honor his legacy of serving the country's finest barbeque. Whether you label it barbeque, barbecue or BBQ – it's here for your dining pleasure – with our barbeque dining menu! 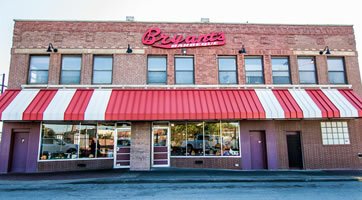 Arthur Bryant's features two convenient locations in Kansas City, and both provide in-house dining, banquet, catering and carryout options. 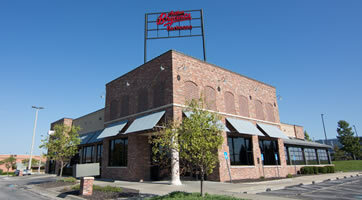 Banquet Space available for parties of 20 or more at both locations. 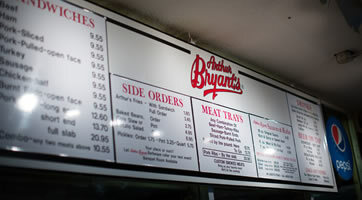 Catering or drop off service available for any size group; delivery provided for orders of 40 or more. Our party packs make your next special event tasty and easy to manage! 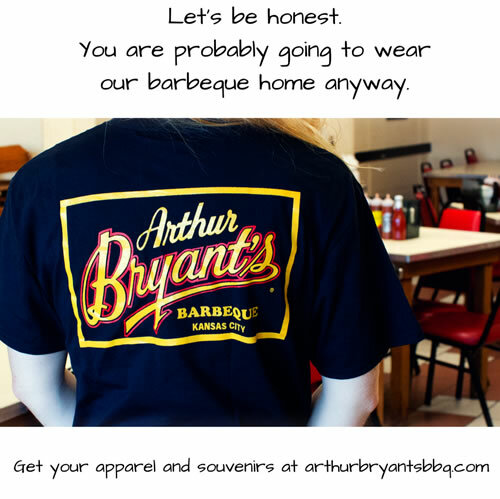 We've always got something special going on at Arthur Bryant's Barbeque, whether it's a holiday special or a special tailgating option. Just click here to see the latest and greatest offering. 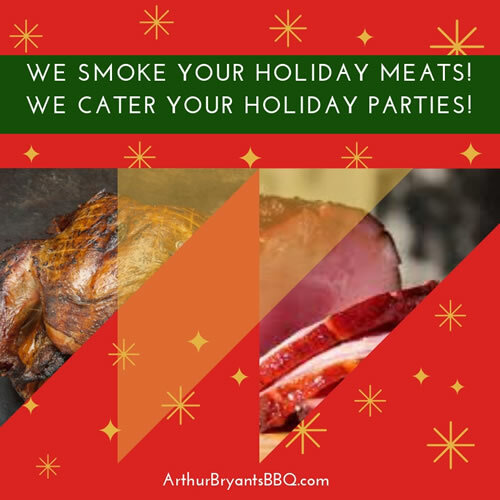 We smoke holiday meats and cater your holiday parties! Click here to find out more.